How connected are your classrooms? 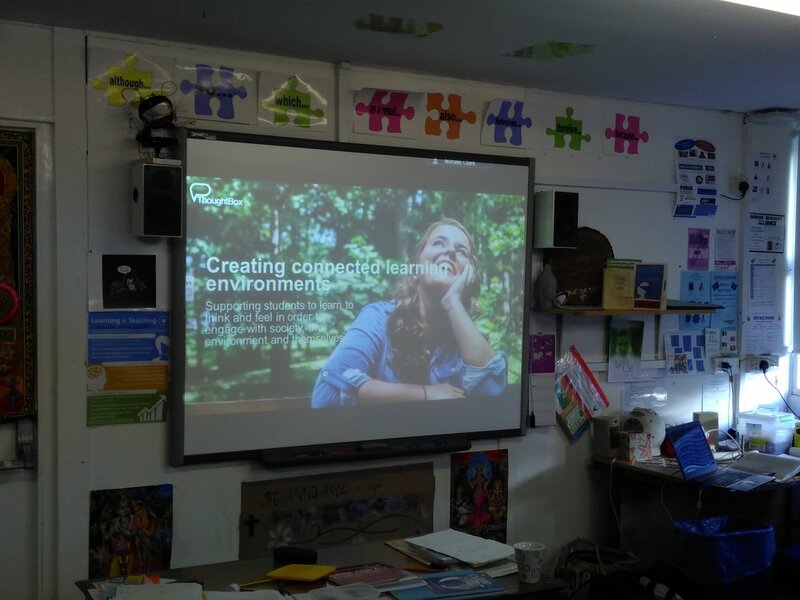 Through a series of CPD training programmes with teachers at King Edward VI Community College in Totnes, Devon, we have been exploring the notion of healthy classroom environments through connected learning. Why do we need to nurture emotional resilience in our students? How are critical thinking and empathy and unlearning vital tools to support emotional health through connected learning? How can we discuss difficult issues in the classroom? How can we create safe spaces to support students’ questions and anxieties? How can we nurture a whole school ethos to support connected learning? It has been interesting to spend time sharing best practice, listening to thoughts on what does and doesn't work in the classroom environment and examining some of the core sticking points that come with holding classroom discussions on difficult, controversial topics. Head of Humanities Natalie Clark has introduced a clear approach across the school (through the PSHE programme) to support respectful and carefully managed discussions by welcoming a four-stage approach to all discussions, using the acronym ROCK: R = Respect, O = Open-mindedness, C = Confidentiality, K = Kindness. This simple yet highly effective policy allows all students to immediately know and understand the boundaries and expectations set in every classroom discussion and is a positive approach to supporting a healthy debate. This is another simple yet effective strategy to engage students in listening to others and responding to what they have heard within their own opinions and reactions, something that many of us find challenging (not just adolescents!) In fact the role of listening within a healthy classroom discussion was given good consideration during our discussions, and various ideas were shared and explored for promoting active listening. The whole school CPD programme at King Edward's is run on a regular basis through a series of after-school sessions, all within the same format of Input, Create, Share and Meet. Their dedicated blog to teacher training offers an insight into some of the best-practices shared in the past. Are you interested in exploring ideas for supporting healthy classroom discussions and bridging connections in your school? Get in touch and find out more about our range of CPD programmes, all of which are uniquely tailored to your school's needs. Staff discussing the ThoughtBox Five-Step approach to healthy classroom discussions.